Caroline is a Partner in the Planning and Environmental team specialising in all aspects of Town and Country Planning and Highway law. Caroline has wide experience of acting for both developers and local authorities in relation to the negotiation and preparation of complex planning and highways agreements. She has advised a wide range of clients on all aspects of planning applications and appeals (including major inquiries and examinations) in the context of a wide variety of projects including major residential and mixed use schemes, retail, renewable energy, highways and also major infrastructure projects determined pursuant to the Planning Act 2008. Caroline regularly advises on Community Infrastructure Levy, Habitats Regulations, village green issues as well as compulsory purchase and planning blight. 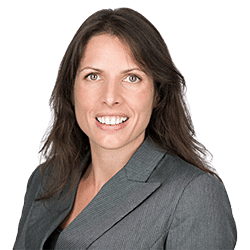 Caroline also has considerable experience of development control, enforcement and listed buildings and advises on agricultural planning and agricultural redevelopment proposals. Caroline joined Clarke Willmott in 2003 having obtained a first class degree at the University of Wales and a Distinction in the Legal Practice Course from the University of the West of England. Caroline regularly lectures on Planning and Environmental Law. Planning Agreements – acting for developers, local authorities and land owners in respect of complex planning and highways agreements on strategic sites including: acting for Eagle One in connection with a mixed use development (with around 950 dwellings) which straddles the administrative boundary between East Devon and Exeter City. Planning Appeals – acting for appellants in connection with complex and often contentious planning appeals (including major public inquiries) including acting for national-name housebuilders in obtaining planning permission for development on allocated sites outside the development boundary on the basis of five year housing land supply arguments. Major Infrastructure Projects – acting for the landowner in respect of the recent application for a new dual core reactor power station at Hinkley Point C including provided advice and representation in connection with the examination of the application for a Development Consent Order for the main project and also in respect of the applications for associated development. This work also included supporting Leading Counsel at a three week public inquiry into an application for a Harbour Empowerment Order and Transport and Works Act Order for the construction of a 500m temporary jetty and the negotiation of a number of planning obligation agreements. Enforcement – providing advice in respect of breaches of planning control, obtaining certificates of lawfulness and appealing against enforcement notices including overturning an enforcement notice at appeal relating to the unauthorised occupation of a small part of an agricultural building as a dwelling for more than four years. Village Greens – resisting applications for village greens on behalf of landowners and developers including defeating the application to register a site in Crewkerne acting on behalf of the Town Council (as landowner). Renewable Energy – advising clients in various respect of stand alone wind and solar/ PV developments and advising in respect of on-farm renewables (e.g. anaerobic digestion). Judicial Review – acting for claimants and, more commonly, developers and landowners as interested parties in judicial review claims including successfully resisting a legal challenge in respect of a Certificate of Lawfulness (which we had obtained) in respect of a planning permission which had been technically implemented (but the development not proceeded with) over 20 years prior to the grant of the Certificate. Private Client work – acting for private clients in relation to strategic planning advice (including the promotion of sites through the Local Plan process), planning applications, appeals, Certificates of Lawfulness, appeals against enforcement action, and all other areas of planning, highways and public rights of way.